Want to see all the technologies used by dribbble.com? Dribbble is a community of designers answering that question each day. Web designers, graphic designers, illustrators, icon artists, typographers, logo designers, and other creative types share small screenshots (shots) that show their work, process, and current projects. 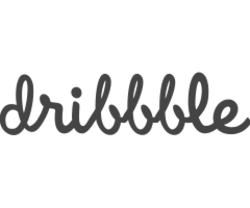 Headquartered in Salem, Massachusetts, Dribbble began as a side project and is now a tiny, bootstrapped and profitable company helping the world's design talent share their creations and get hired. Dribbble has become a go-to resource for discovering and connecting with designers around the globe. For a quick look at additional technographic info on dribbble.com or any domain on the web, download our Chrome Extension. Check out our help article to see how Datanyze Insider can help you.